Here’s something I’ve experienced in the game more than once. The sun’s just gone down and it’s dark out. I can barely make out what’s in front of me on the mountain path I’m following toward my next objective marker. Then a howl, followed by a second and third. All of the sudden I’m surrounded by wounded dogs I can’t really see. I try to shoot them, but the game’s stiff controls make it impossible. I try to use the V.A.T. system, which is supposed to let me spend AP in exchange for auto-aiming, but now I’m suffering from thirst and hunger and I don’t have any points left. 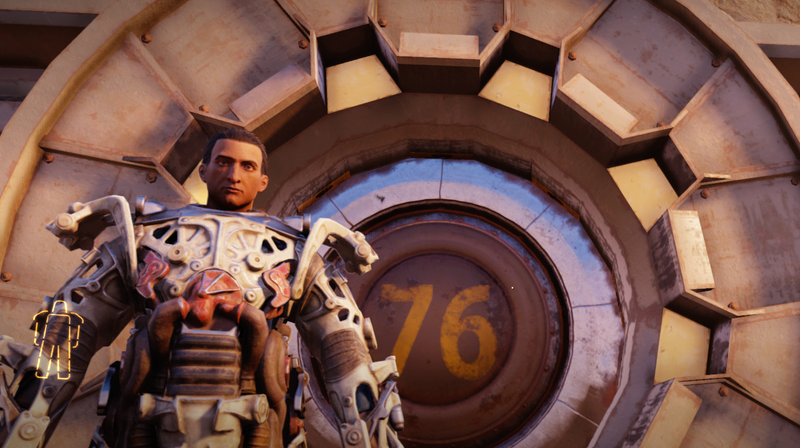 The edges of Fallout 76's map constantly taunt you with questions about what lies just over the horizon and how fast it will kill you.